Gigabit Passive Optical Network, or GPON, technology is designed to use passive splitters to help your network make the most of its capabilities. Serve multiple homes or customers with a single feeding fiber in a smarter architecture that can reach downstream speeds of up to 2.488 Gbps, with a shared upstream of 1.244 Gbps. Worldwide Supply offers a variety of refurbished GPON optics as well as compatible tools like the Cisco CRS 1 router. 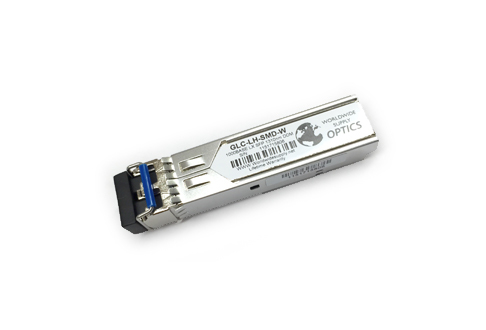 All the used GPON optics we offer have been brought up to OEM standards and thoroughly tested to ensure you’re getting the most out of your network, fiber and more. Plus, we provide a complete spares and maintenance program that can work across your GPON optics and other equipment with a lifetime warranty and speedy service. As bandwidth demands increase, your network must ensure it optimizes every fiber to meet these needs. We believe used GPON optics are the most cost-effective way to ensure you’re prepared. GPON prides itself on efficiency and cost-effective delivery of the services your customers desire. Some of the core benefits of relying on GPON optics include a reduction in the need for physical infrastructure to support growth, reduced maintenance requirements, better delivery of higher bandwidth and simplified network management. Use a leading architecture to become stronger and more reliable, which is excellent for you, your customers and your field teams. Roll trucks only when you need to. Worldwide Supply wants to help you focus on rolling only when it’s time to grow, and we think our refurbished and used GPON optics, plus related tools like the Cisco CRS 1 router, are your smart path forward.